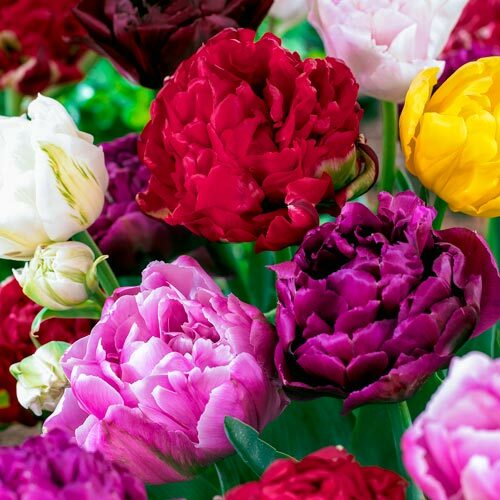 Double Late Tulip Mix | Gurney's Seed & Nursery Co.
For the best and brightest tulips available in early summer, look no further than this colorful blend. We have selected only big, healthy bulbs of one of the most popular late-flowering double tulips on the market today, and created a mixture you're sure to love. Blooming in early summer, they are among the latest varieties to appear in the garden, and have become a perennial favorite. 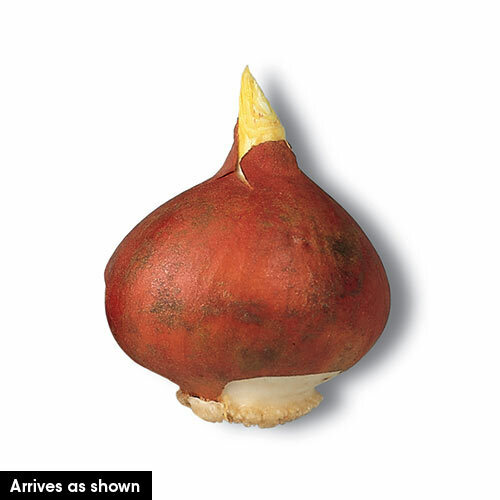 With a full, double form, they resemble plump peony flowers more than the classic tulip. When fully open, they can reach up to 4" across! Protect them from severe wind and rain, and this mix will perform exceptionally well in rock gardens, beds and perennial borders. Easy to grow. Deadhead spent flowers for more prolific blooming. Zones 3-8. Flower FormUpright, bell or funnel shaped, double blossoms. ColorMix of various colors of Double Late Tulips. PruningDead-head. It is important to let the foliage mature and die down naturally, do not cut back. Next year's bloom is being developed. CommentsThese tulips grow large double flowers that resemble old-fashioned peonies. You'll love the layers of delicate petals and incredible colors. Stunning as cut flowers and as a delightful display in the garden. Depth6 inches. Pointed end up.